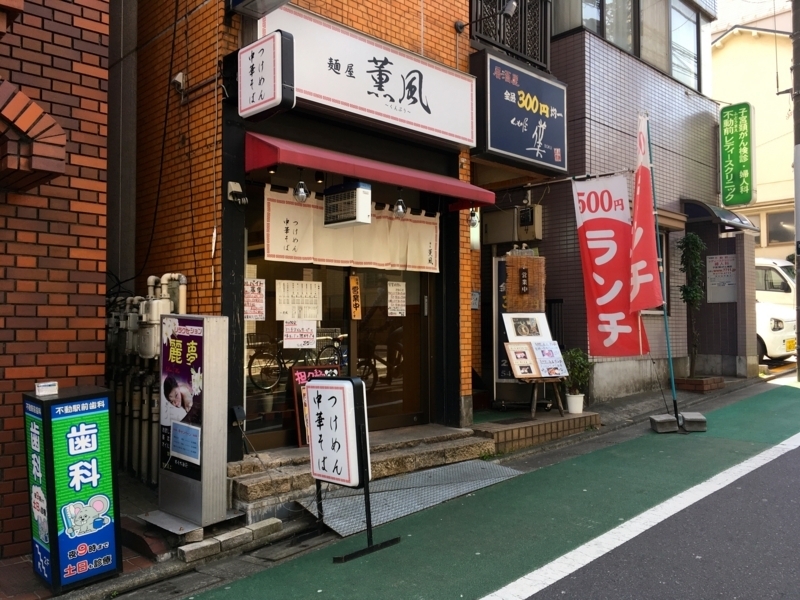 I went to a ramen shop called "Kumpoo" near the "Fudomae" station on the Tokyu Meguro Line. It started operating about three years ago and was popular from that time. The meaning of "Kumpoo" is a nice wind. In Japan, it is also a season word for May. Although it was March this day, it was as warm as May. And, I felt like "NIBOSHI Tsukemen" to eat. 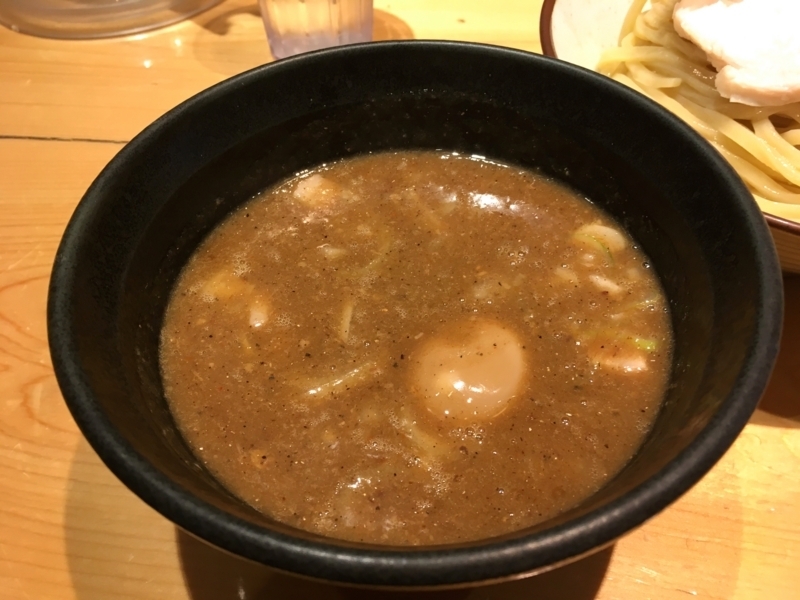 The soup is thick with boiled pork bone and NIBOSHI. 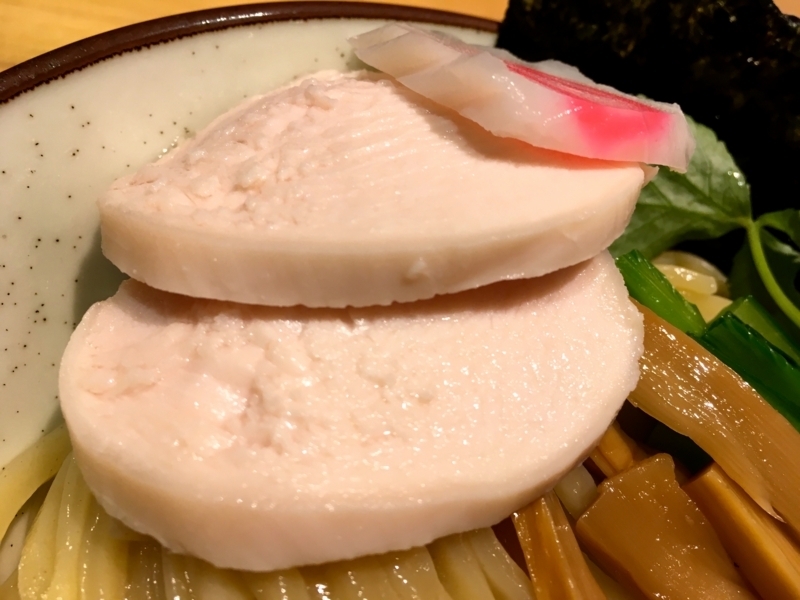 It contains a sweetness that feels the collagen of meat and a lot of NIBOSHI's fragrant bitter taste, and it has a strong taste. For this tasteful soup, a really thick noodle is compatible. 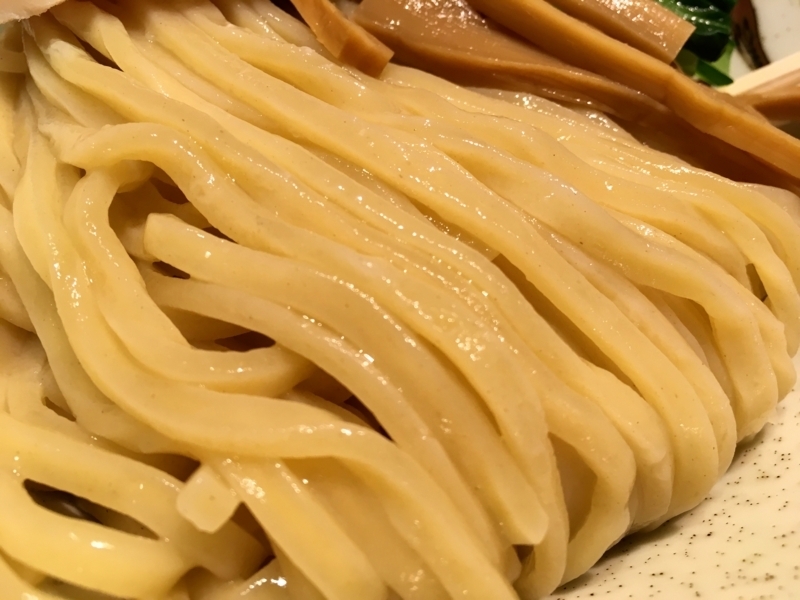 It seems that noodles are made by Mikawaya. It is boiled in a long time because it is slightly low in moisture and thick. And when the noodles boiled, it is suddenly cooled with running water. In order to take away the heat of noodles at once and to tighten noodles. And the chewiness and aroma of the noodles are improved. A combination of thick soup and such noodles is very good. The chicken breast meat of the topping is very good. The cockerel is very soft, just like a makeup puff. And although it is very light, it has been refined seasoning. Such meat would be compatible with any kind of liquor. 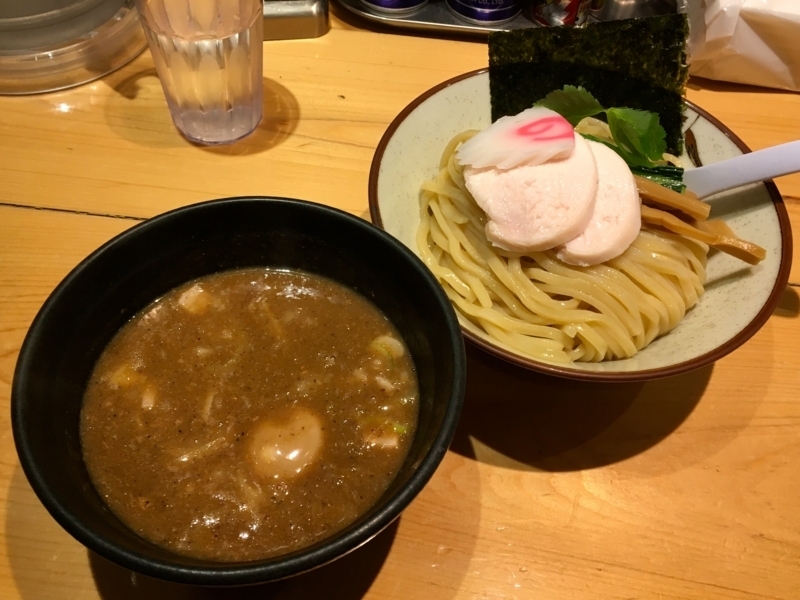 Eat Tsukemen In the end, it is common to get "Wari-Soup". 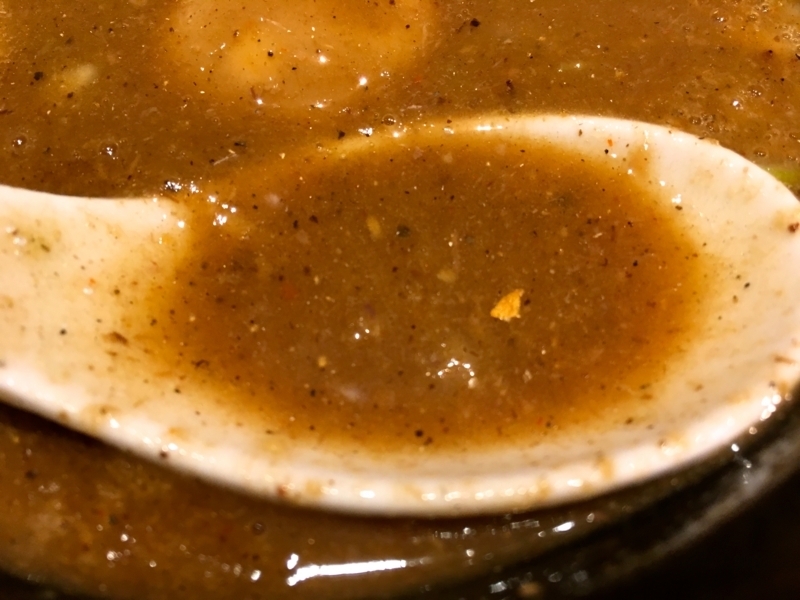 This is not only to make the taste dark soup light and make it easy to taste. It also has a role to warm soup and it is also a pleasure to experience another taste. 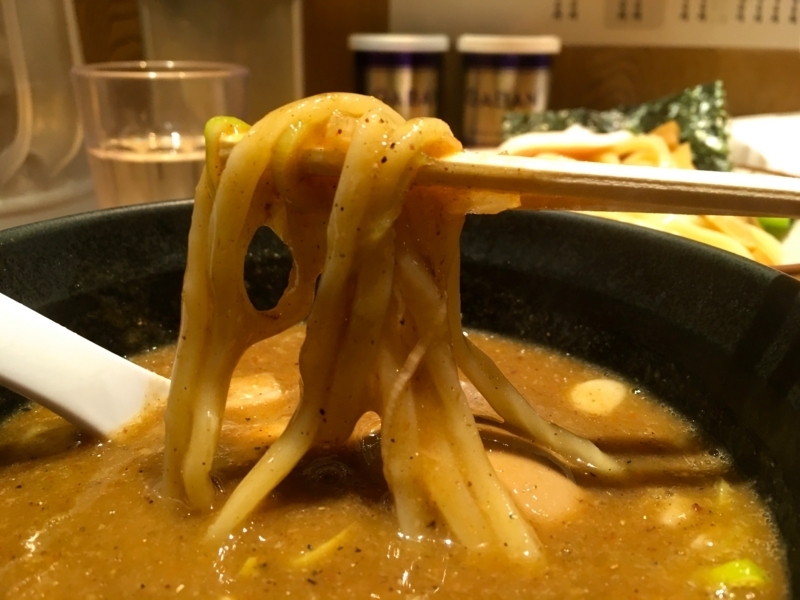 It is indispensable for Tsukemen. 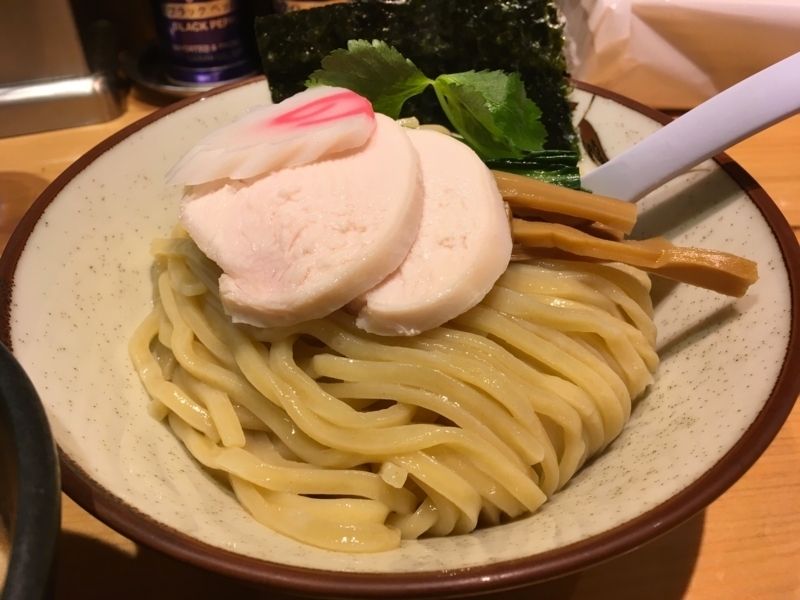 It was a typical and high quality Tsukemen. In this case, I would like to try another menu. I also hope to have a chance to visit this store soon.